This orchestral rock song was released by the Babys in early 1978. 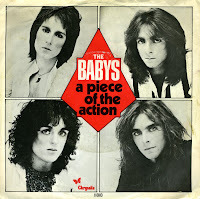 It didn't chart in the UK, where only the earlier single 'Isn't it time' made it into the chart, but in the Netherlands they peaked at number 17 in the Dutch Top 40. It's not their best chart performance: two other singles made it into the top 10.